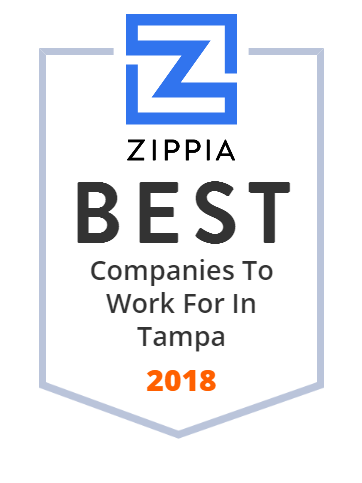 We hand-curated a list of the best companies to work for headquartered in and around Tampa, FL using data on salaries, company financial health, and employee diversity. Since 1899, Tampa Electric has been supplying the Tampa Bay area with electricity. Its Tampa Electric division provides electric service to almost 672,000 customers. The company has a team of over 2,500 employees. Tampa Electric is part of the TECO Energy family of companies that has regulated electric and gas utilities in Florida and New Mexico: Tampa Electric, Peoples Gas System and New Mexico Gas Co.
Shriners Hospitals for Children provides world-class pediatric specialty care for children with neuromusculoskeletal conditions, burn injuries and other special healthcare needs within a compassionate, family-centered environment. The hospitals specialize in treating children with orthopedic conditions, serious burn injuries, spinal cord injuries, and cleft lips and palates. Shriners Hospitals for Children has 22 locations in the US , Canada and Mexico. Founded in 1922 in Tampa, FL. Anchor Glass Container Corporation, founded in 1983, designs, manufactures, and supplies glass containers for beer, food, beverage, liquor, and consumer mold making industries in North America. Headquartered in Tampa, Florida, the company has manufacturing facilities in Shakopee, Minnesota; Henryetta, Oklahoma; Lawrenceburg, Indiana; Elmira, New York; Warner Robins, Georgia; and Jacksonville, Florida. More than 2000 employees in the US work at Anchor Glass Container. Health Insurance Innovations is a technology platform focused on Health and Life insurance, Critical Illness, Telemedicine, Dental and other related products. Hillsborough County, Florida's government in the Tampa Bay area, provides information and news about events, programs and services to its community. The mission of Hillsborough County government is to provide effective quality service at a reasonable cost with courtesy, integrity and accountability. Hillsborough County provides various services, including child care licensing, emergency management, affordable housing, public works, social services, etc. The government was established in 1834 in Tampa, FL. WellCare Health Plans, Inc. began operations in 1985 and is based in Tampa, Florida. WellCare provides managed care health plans primarily through Medicaid, Medicare Advantage and Medicare Prescription Drug plans for more than 4.4 million members across the country. The company partners with more than 407,000 contracted providers and employs more than 8,800 associates. Wellcare Health Plans, Inc. is the holding company for several subsidiaries, including WellCare, Staywell, HealthEase, Harmony, and 'Ohana. Regional offices are located in Miami, New York City, New Haven, Baton Rouge, Marietta, Houston, and Chicago. CAE is a global leader in training for the civil aviation, defence and security, and healthcare markets. Along with approximately 8,000 employees, CAE has 160 sites and training locations in 35 countries. Services include: training solutions for flight, cabin, maintenance, training systems integrator for defense forces in the air, land, and naval domains, design and manufacturing of simulators, services for training of medical, nursing, and allied healthcare students, as well as medical practitioners, etc. CAE Inc. was founded in 1947 and is headquartered in Saint-Laurent, Canada. Its division in the US is located in Tampa, FL. Tampa General Hospital is a medical center that provides general medical and surgical care, and tertiary offerings including a Level 1 trauma center, a burn unit, a pediatric ward, women's and cardiovascular centers, and an organ transplant unit. The hospital specializes to provide treatment for patients that suffer from stroke, head or spine trauma, and other neuromuscular conditions. The hospital is based in Tampa, FL, and currently has a team of approximately 7,600 employees. Club Z Tutoring Services provides in-home tutoring in math, language arts, science, reading, writing, SAT/ACT test prep, and more for students of all ages, including adults. The company offers one-on-one instruction in a home environment, away from classroom distractions. Tutoring sessions may also be scheduled at schools, after school facilities, libraries, or community centers. Founded in 1995 in Tampa, FL. Ditech Holding Corporation (formerly Walter Investment Management Corp.) is an independent originator and servicer of mortgage loans and servicer of reverse mortgage loans. It services loans for GSEs, government agencies, third-party securitization trusts and other credit owners. Ditech Holding Corporation was founded in 1958 and is based in Fort Washington, Pennsylvania. It currently employs over 3,500 people. Fueling your mind for the road ahead. Trucking News and Opinions with an emphasis on commercial trucking, regulation, financials & technology. Romark, LC is a pharmaceutical company that discovers and develops innovative drugs for treating infectious diseases and cancers. The company's antiviral drugs are used for the treatment of diarrhea, acute uncomplicated influenza, and chronic hepatitis C. Its research has led to the discovery of a new class of drugs called the thiazolides, other new compounds are currently being developed. The company was founded in 1994 and is based in Tampa, Florida. International Dewatering Screw Press design since 1931, Vincent Corporation specializes in the design, engineering and manufacture of screw presses. Learn more types of applications. Rent a Press - Any size!